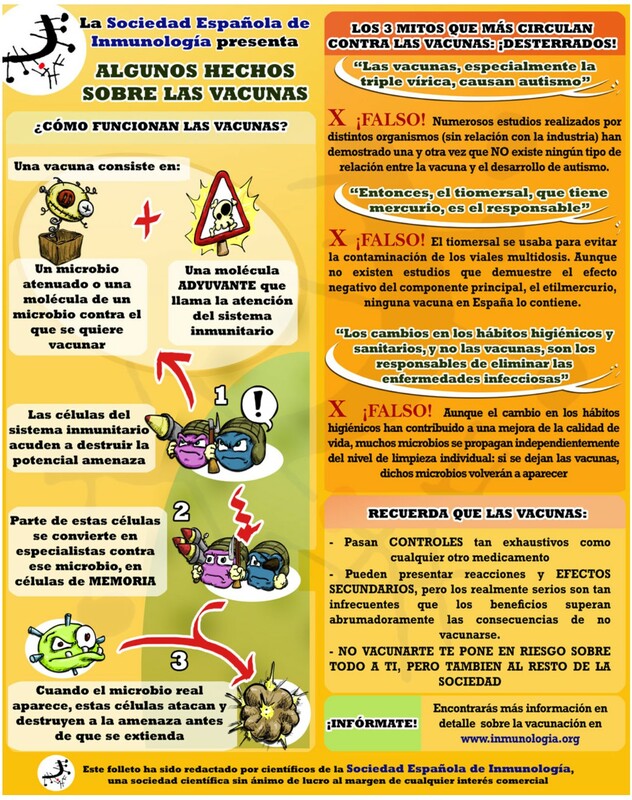 The Spanish Society of Immunology (SEI) is engaged in fighting the false ideas activally spreaded by the “anti-vaccination” groups. Recently a child dead in Spain of Diphtheria (first case in 30 years) after parents shun vaccination. To this end, the SEI has performed several documents for the public outreach.